Juno takes photos of Jupiter’s Great Red Spot from closer than we’ve ever seen it. Meanwhile, most Americans can’t load those images as quickly as you’d think. 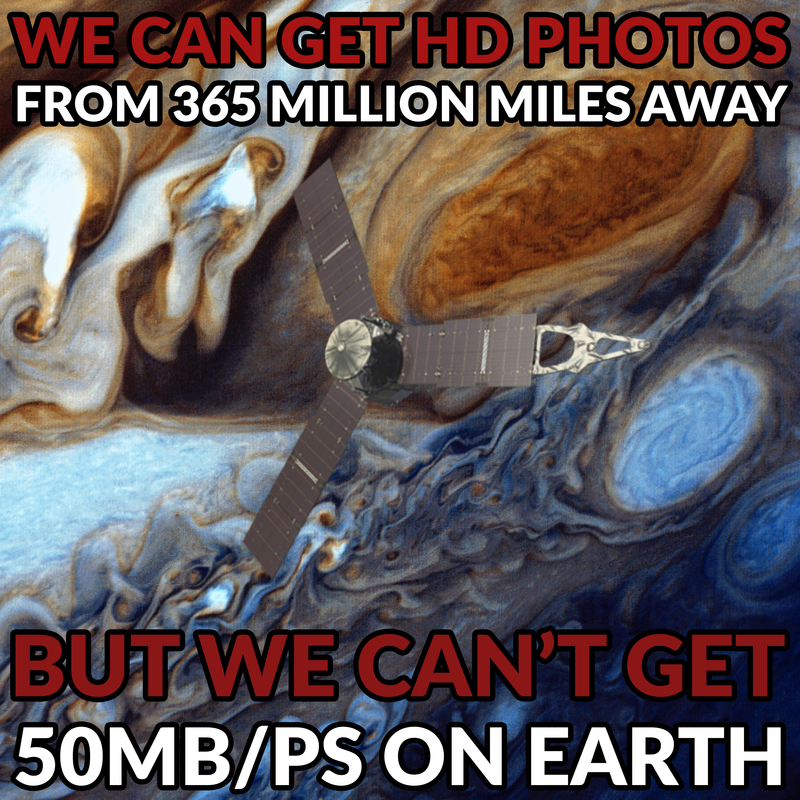 On this week's episode, Mike and Rob discuss the interesting dichotomy wherein we, as a species, are able to get HD photos of Jupiter and its Great Red Spot from more than 365 million miles away, but most Americans still can't get 50mb/ps with their internet connections.